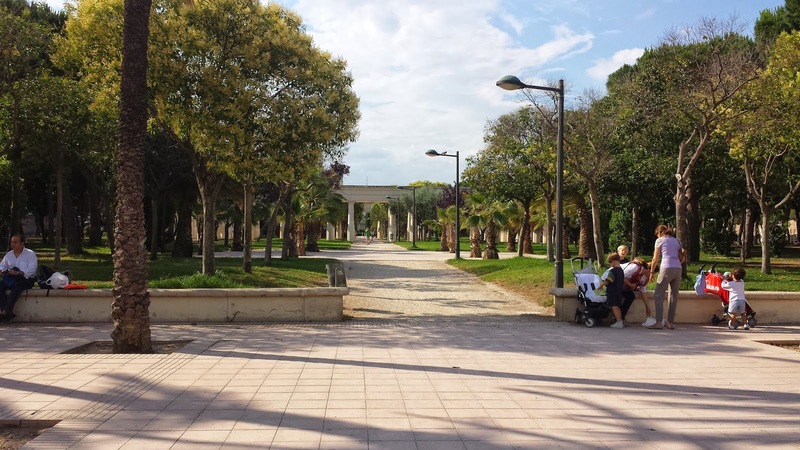 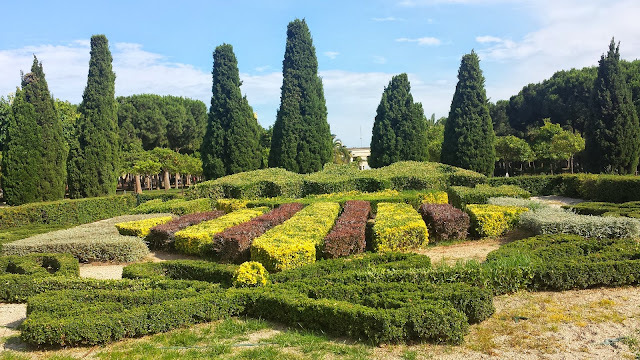 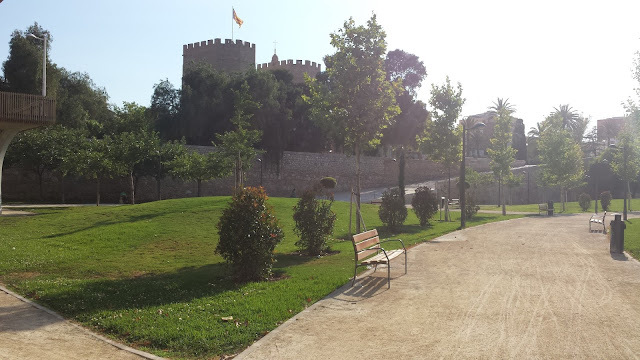 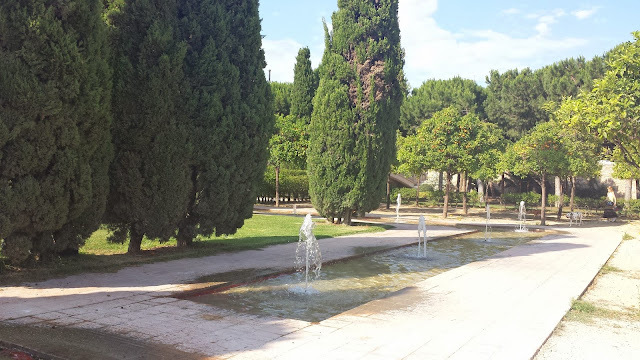 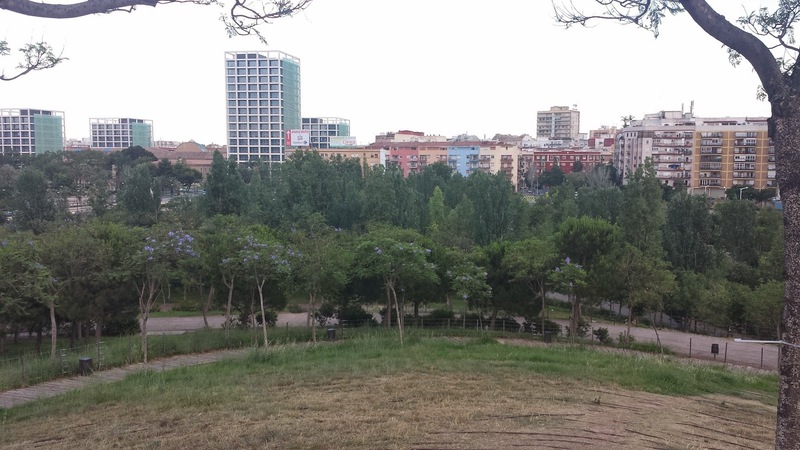 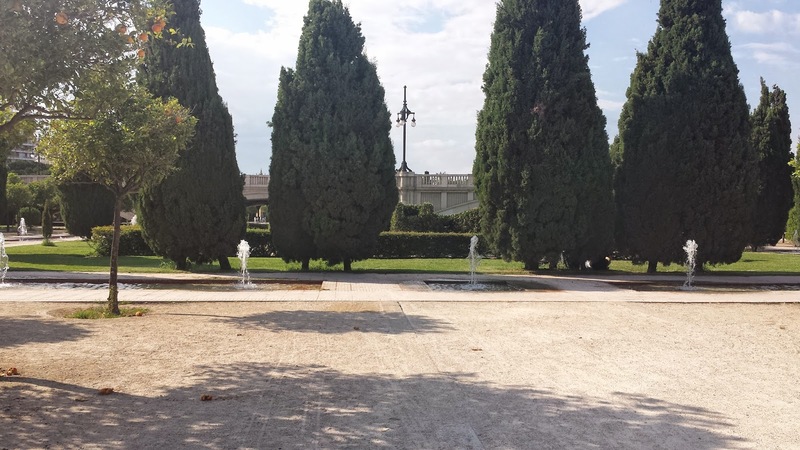 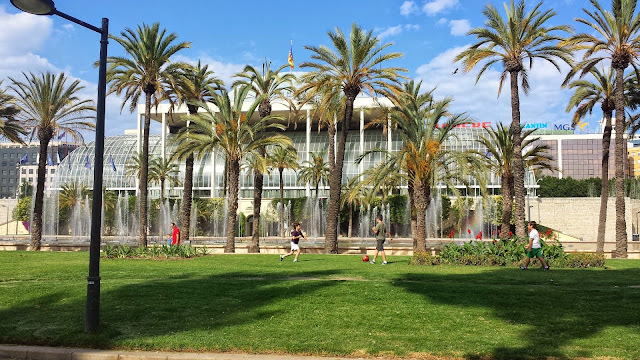 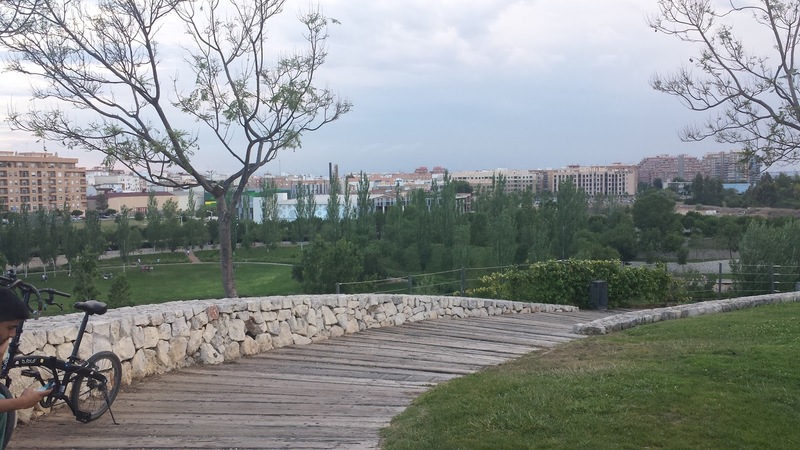 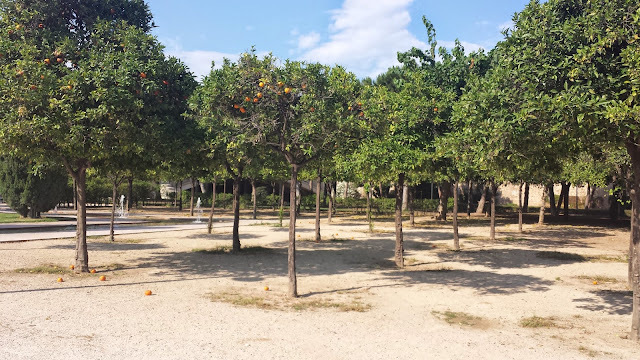 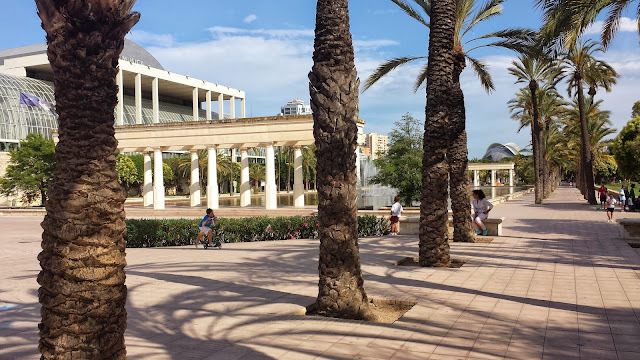 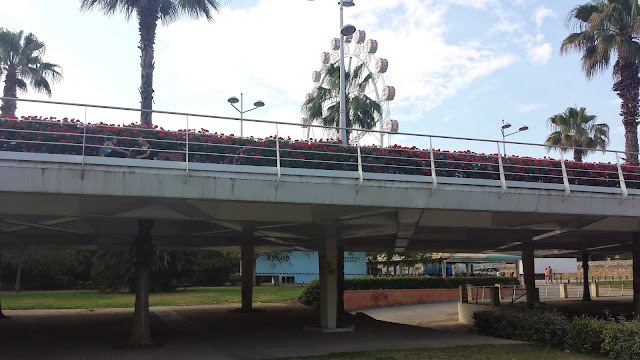 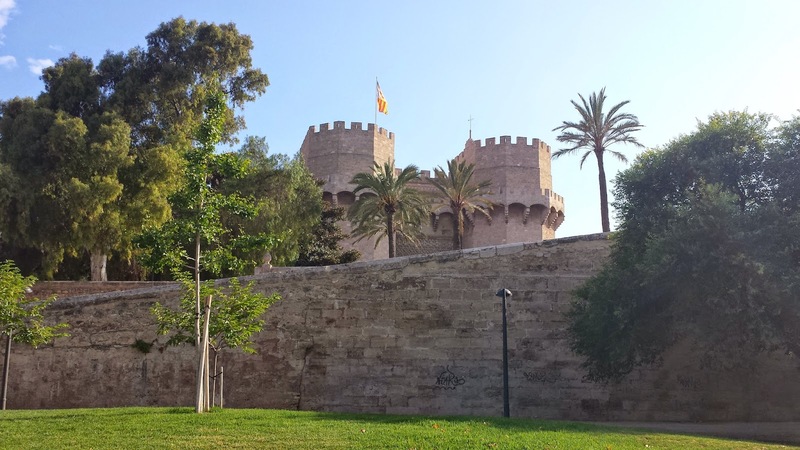 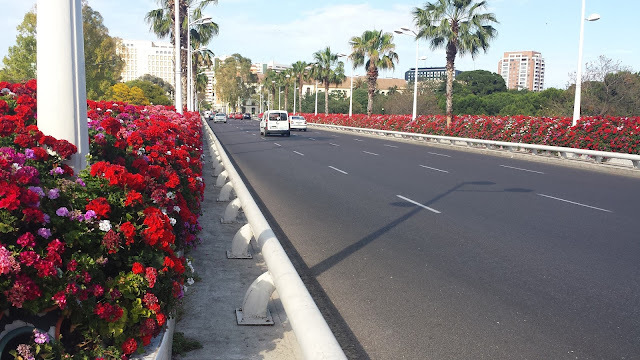 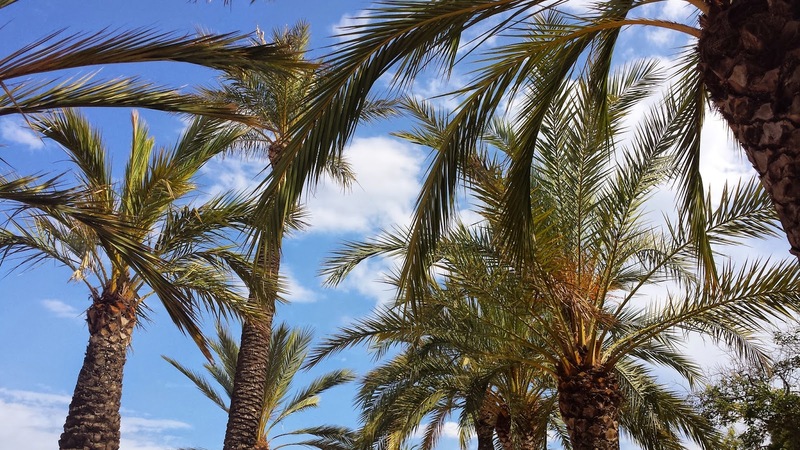 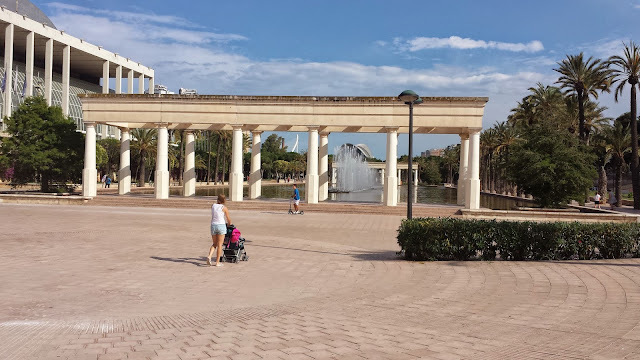 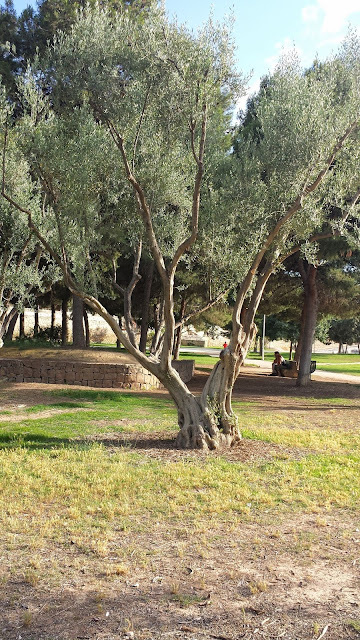 The Garden of Turia (Jardin del Turia) is unusual park in Valencia, Spain because it is the old riverbed of Turia river. 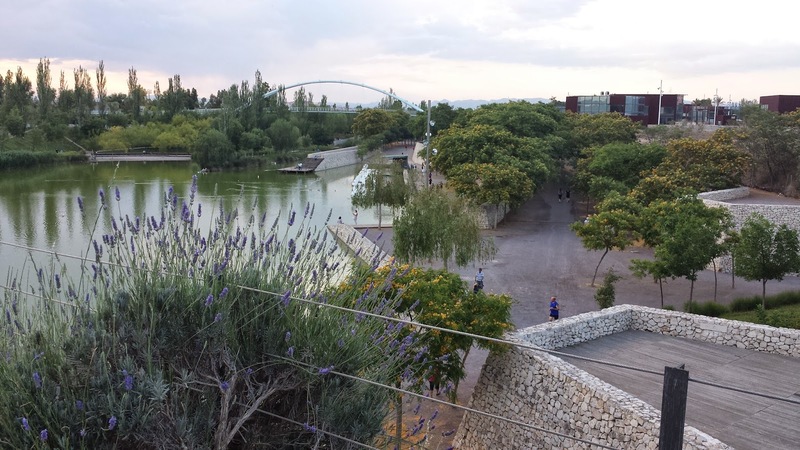 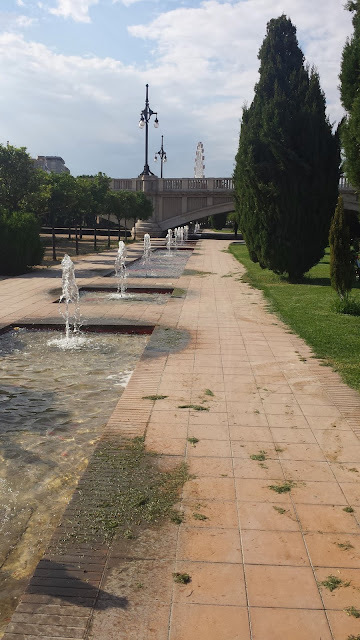 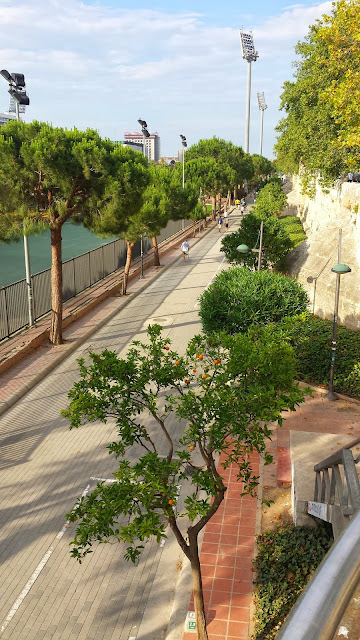 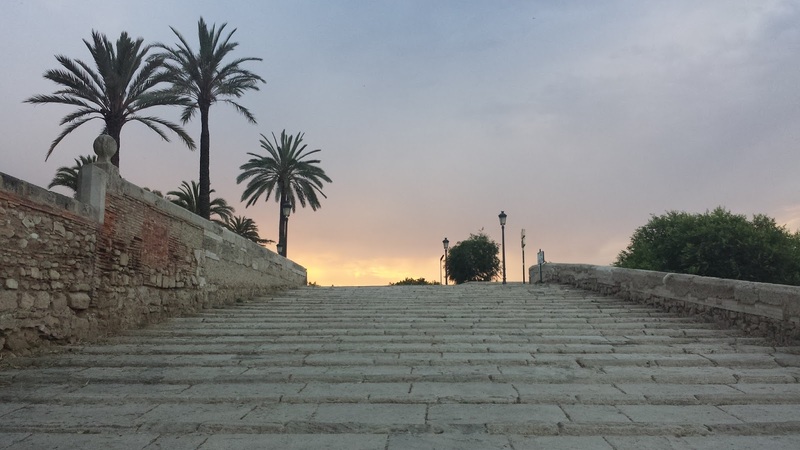 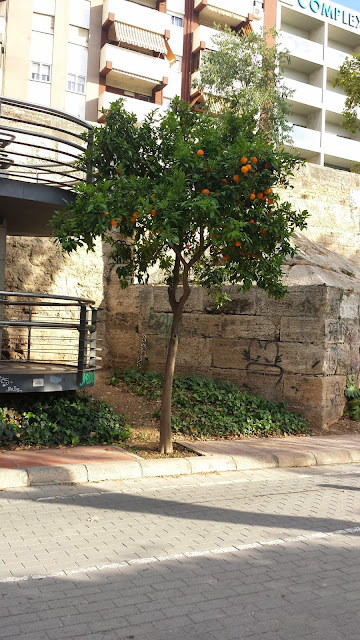 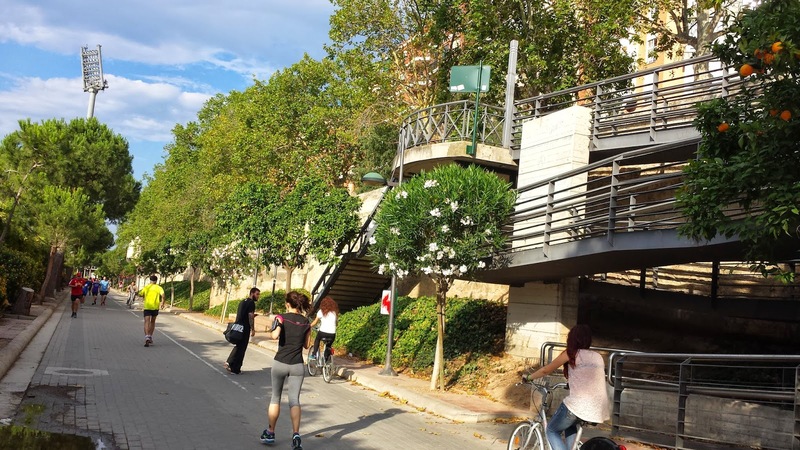 After a The Great Flood of Valencia in 1957 the river was diverted and the dry riverbed is now a green oasis that crosses the city all the way to the port. This is a place for leisure and culture. You can have picnic with the whole family, or you can jog or play football. 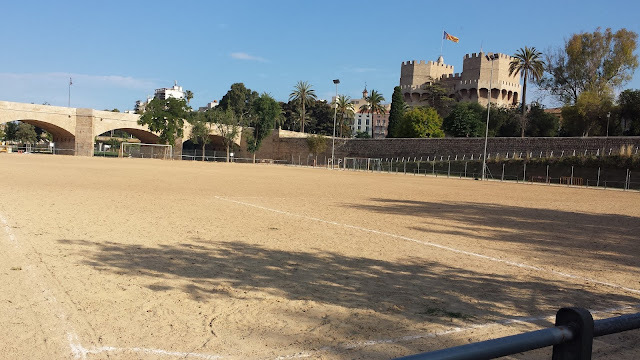 There are sport areas for everyone. 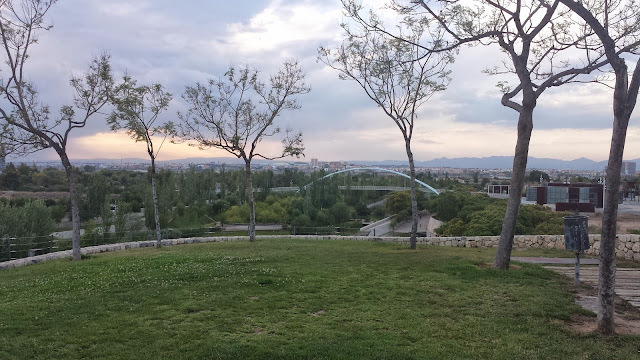 There are many bridges overhead. The park keeps you away from the city noise thanks to it's low level. 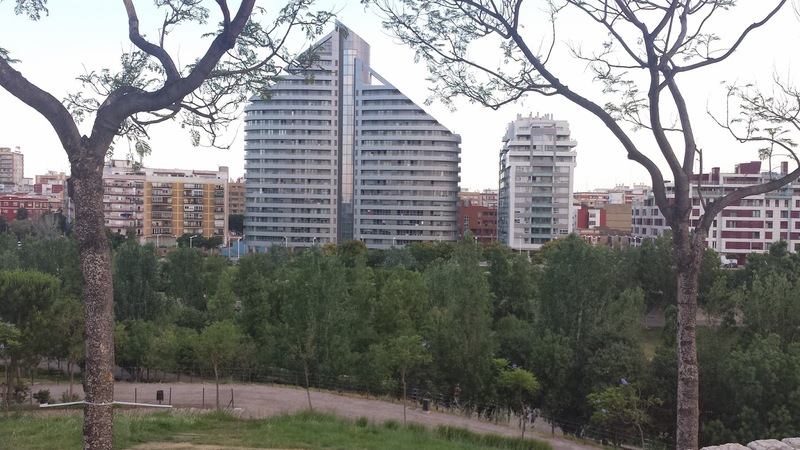 At the end of the garden there's the Biopark, the city's new zoo. 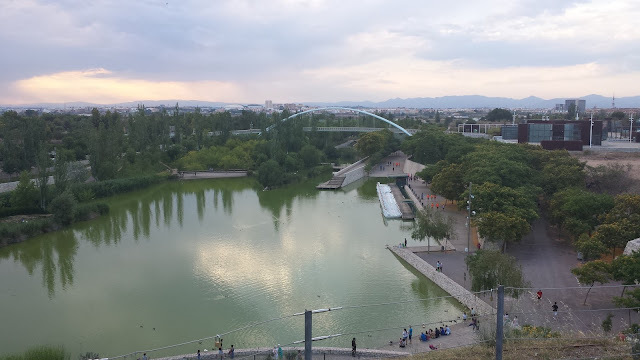 The place offers a beautiful view to the city.